WeGene is a DNA testing company committed to enabling individuals with East Asian heritage to get all the benefits of exploring their genomic data. Its main services include ancestry testing, personalized exercise and weight-loss plans, genomic medicine, and nutritional genomics. In the future, the company intends to expand its services to cover all the corners of our personality affected by our unique genetic signature. As mentioned, the available testing solutions focus on individuals of East Asian descent (particularly Chinese), so they might not be the right choice for Europeans and other non-Asian ethnicities. 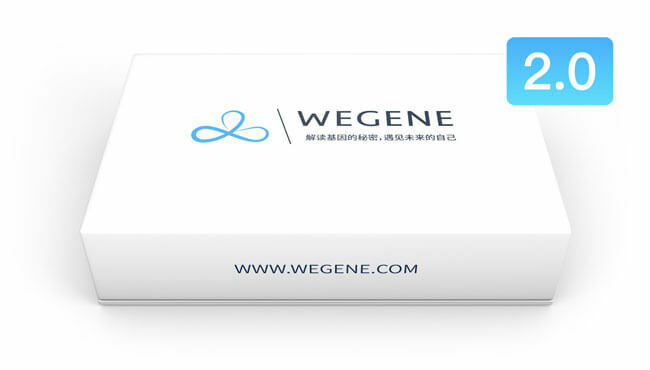 Keep reading our comprehensive WeGene review to learn all there is about this unique company and find out how it can help you discover your roots and change your lifestyle based on the secrets locked deep inside your DNA. First of all, WeGene allows you to import your raw DNA data file if you already tested with 23andMe. If you sequenced your entire genome with some other company, you can import those results as well. Note that genome-wide examination is a very complex endeavor and it involves large quantities of data, which is why you should first contact the company’s user support at service@wegene.com for additional instructions. Placing an order – It all starts once you decide to place your order on the official website. You can create a new personal account in order to do this or use your WeGene WeChat public number. Registering the kit – Once your order is received, your personal testing kit will be sent via SF Express. In order to proceed with the testing, you’ll have to register the kit on the official website; otherwise, it will not be processed. Your unique 14-digit code can be found on the bottom of the sample collection container. Collecting the sample – After registering your personal kit, you can proceed to sample collection. 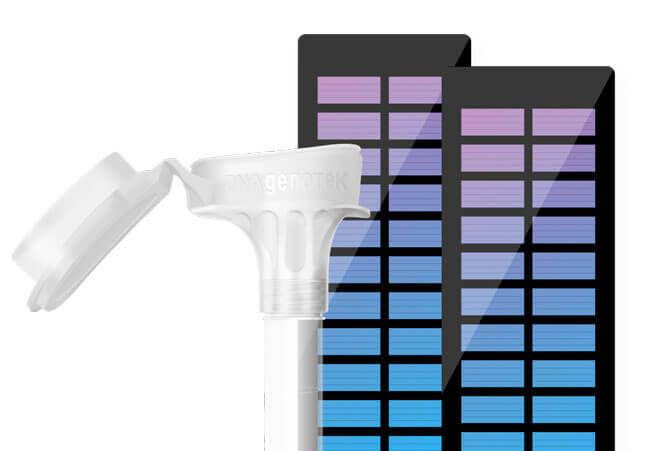 WeGene’s at-home DNA test uses saliva for DNA extraction. Sending the sample back – At this point, simply send your sample back to the company’s lab for further processing. WeGene urges its customers to use SF Express for this purpose. Note that you’ll have to pay the return shipping costs. Inspecting your results – 4-6 weeks after the lab receives your sample, your final report will be generated. You’ll be able to inspect it on the official website (using your personal account) or WeChat (microgene). You can also use your account to monitor the progress of your test before your report is ready. Note that WeGene currently provides its users only with digital reports. As we already mentioned in our WeGene review, you can explore your East Asian ancestral origins (specifically optimized for Chinese heritage), study your genetic traits, and discover potential predispositions for certain diseases and conditions with the WeGene test. The data from your final report can also be used with a number of third-party apps to get even more information about yourself as dictated by your genetics. The price of the test is 499.00¥ (around 74$) and 399.00¥ (around 59$) if you order multiple kits. This segment will hold information about your ethnic breakdown, paternal and maternal haplogroup, and the percentage of DNA inherited from your Neanderthal ancestors. It will also trace your last name as far back as possible. The test inspects more than 400,000 genetic markers. Protection, including lumbar disc/anterior cruciate ligament/Achilles tendon protection. This section will tell you everything about your lactose/caffeine metabolism, folic acid/calcium nutritional needs, alcohol metabolism, and vitamin E/B12/A/iron nutritional needs. This portion of the results will determine your prerequisites for 88 diseases and conditions (96 for females) across your nervous, circulatory, reproductive, digestive, and respiratory systems. Here, you’ll be able to inspect your DNA for traces of 46 hereditary diseases and conditions (47 for females) ranging from Familial Mediterranean fever and Kanavan disease to homocysteine and phenylketonuria. This section of the report will deal with your tolerance to 14 different drugs, including nitroglycerin, Losartan, Tamoxifen, Celecoxib, and others. Here, you’ll be able to see some interesting genetic facts about yourself (12 reports/14 for females), including your genetic predispositions for alcoholic blush, bitter sensitivity, deep sleeping, error avoidance, and more. This segment includes 7 reports (8 for females) concerning your tanning ability, antioxidant capacity, resistance to acne, anti-aging/anti-freckle ability, and more. Apart from its main DNA test, WeGene also offers Whole Genome Sequencing Edition (3,999.00¥ – around 590$) and Whole Genome Sequencing Ultimate (9,999.00¥ – around 1,470$). Both services offer full genome sequencing with 3 billion loci mapped and unlimited interpretation. The Ultimate version also comes with downloadable raw data, 1-on-1 expert consultation, and exclusive storage service. WeGene signed a sample delivery security declaration agreement with SF Express. If you so choose, you can mail your sample back using a different courier service, but the company generally recommends going with SF. The testing kit itself doesn’t have a particular expiration period, so you can send it back to the lab whenever you choose. WeGene is one of the rare companies that focus on Asian genetic ancestry and offer DNA testing solutions specifically designed to fit the genetic needs of individuals with Asian heritage. Apart from this, its main testing option incorporates an impressive amount of data for just one test. Each of the report segments can be offered as a stand-alone test and companies usually do separate them in order to make more money. Everything about WeGene is simply superb, from the company’s lab and processing technology to its test results and user support, so if you wish to explore your East Asian (especially Chinese) heritage, this is definitely the right company for you. Our ratings are the result of an objective and independent evaluation of WeGene , generating the final rating that reflects the overall quality of the company. Ratings may change as the service changes. WeGene user rating based on 3 user reviews. We found 0 verified WeGene discounts for April, 2019. There are no WeGene coupons or discounts right now. 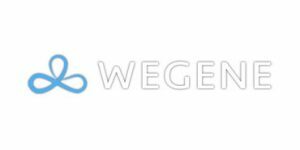 If you like WeGene but aren’t sure whether they are truly the ideal choice for you, you may want to take a look at our comparisons below to discover if one of their competitors is more suitable for you.